The facade appears quite massive from far away, but as you get closer, it is revealed that the facade is actually quite thin and permeable. This is most apparent through a “floating” outdoor canopy that frames an arcade running parallel along the building’s primary north elevation. 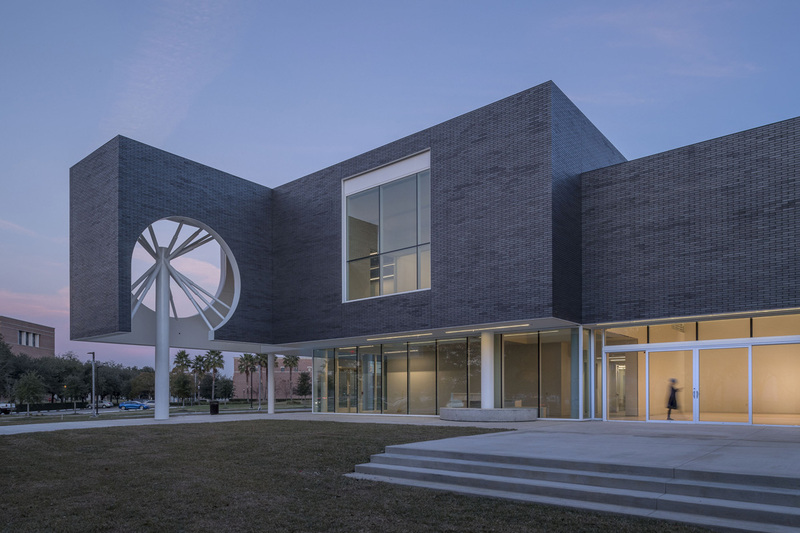 The facade here is framed by steel and integrates a secondary steel web that spans from the second floor to the roof continuously along the entire facade. 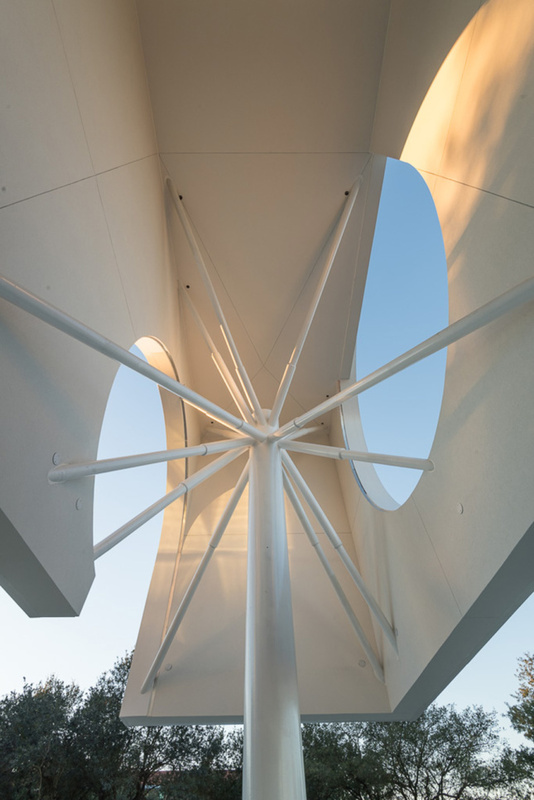 This web encloses “lanterns,” or volumetric voids in the massing of the building, and wraps around starburst-shaped columns which bookend the composition. These iconic columns carry the load of the steel and masonry structure at each end of the building. A double angle detail provides a crisp bearing shelf for the brick facade. At the east lantern, the brick surface is installed as screen wall configuration. 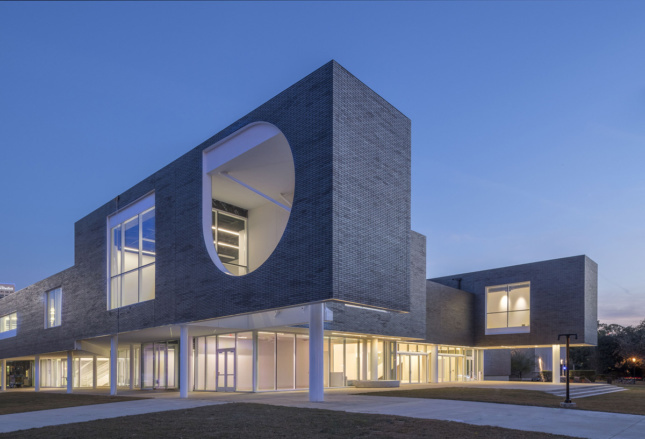 To achieve this, threaded stainless steel rods were integrated into the hollow cells of the brick units, which were installed in a 1/3 running bond pattern. Andrea Manning, associate at Michael Maltzan Architecture, said this allowed for selective bricks to be omitted, producing a unique perforated floating masonry screen. “It was a technical challenge to make brick work this way while maintaining a light and delicate structure,” she said. 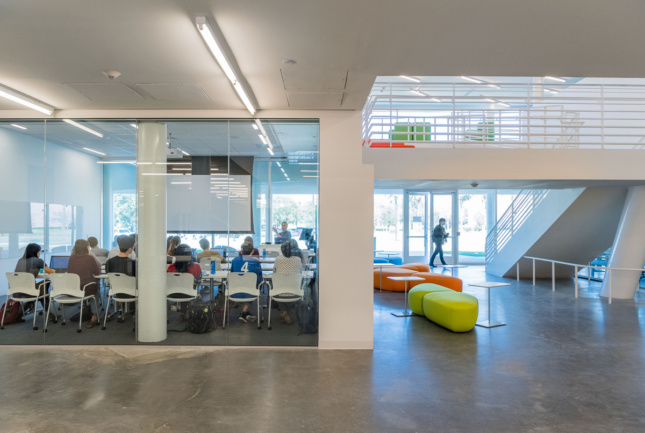 Beyond the facade, at the heart of the Moody is a double-height “Creative Open Studio” that anchors the building in plan and section. 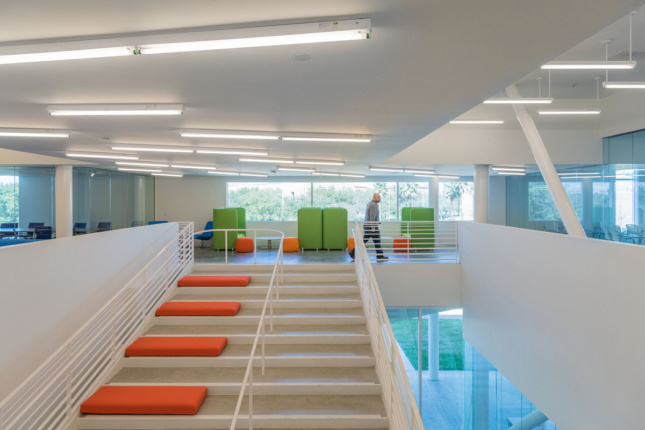 This space was imagined by the architects as an interior version of the typical campus quad. 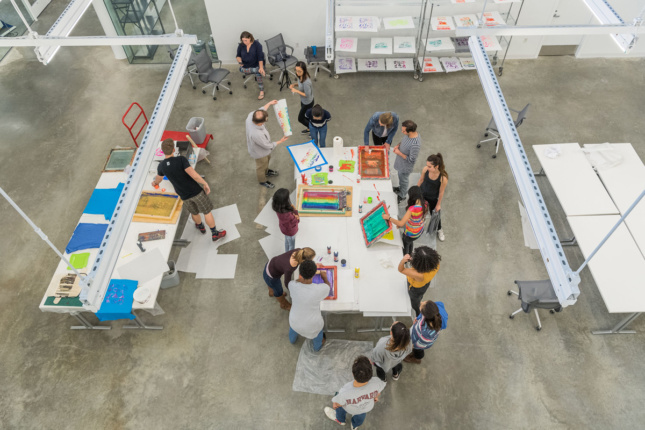 “This interior landscape brings the most diverse programmatic functions into contact with one another, while opening views out to the campus,” said Maltzan. 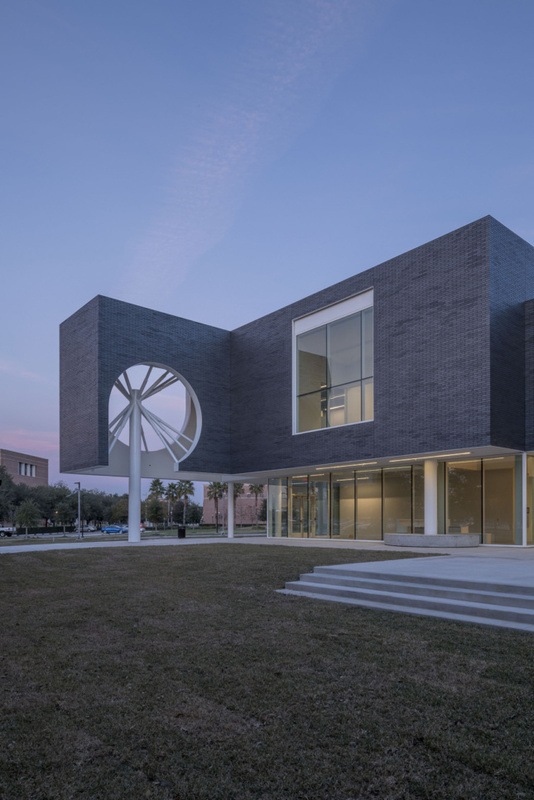 The cross-disciplinary building establishes a new arts district on campus, with proximity to the Shepherd School of Music and the James Turrell Twilight Epiphany Skyspace on the Suzanne Deal Booth Centennial Pavilion. The facility will be programmed, but it’s also a place where the public can be inspired, with public shows and free admittance year-round.